Norm Allgood has dedicated nearly two decades of his career to expanding access to quality, affordable programs to underserved populations. As CEO of Synergis Education, Norm’s focus has been to build an organization with a passionate culture dedicated to creating quality, higher education programs that are valuable, delivered efficiently and accessible to an ever-evolving student base. After serving in the U.S. Army as an active duty noncommissioned officer, Norm earned both his bachelor’s and master’s degrees in his 30s. It was through his own personal journey that Norm became an advocate for improving higher education and creating a repeatable framework for colleges and universities that expands access to education in high-demand fields. In 2011, Norm founded Synergis Education, a mission-driven company that partners with colleges and universities to design, launch and grow innovative classrooms from a 3Modality™ approach: online, face-to-face and a blended program format. Norm has led Synergis to become an innovator in overall degree program delivery. This innovation began with a thesis: no longer is an institution or student limited by the imperfect strategy that confines students to a face-to-face classroom environment or the digital barriers of being completely online. Instead, an institution can meet the student in the right setting, offering degree programs fully online, when appropriate, or shift gears to launch the degree program in a face-to-face or blended format. After the initial capital raise, Norm and his team moved to an EBITDA and cashflow positive position in the 4th quarter of 2016. This position allows Synergis Education to deploy Smart Capital to support degree programs in education, healthcare and some business degree programs. Since inception, Synergis has built and supported 61-degree programs on behalf of its institutional partners and has enrolled more than 12,000 students. In his role as CEO, Norm focuses on strategy, leadership and innovation, working closely with Synergis Education’s partner institutions. Norm and his team understand that thought leadership, new technologies and an ever-increasing competitive market have led to a dramatic change in the higher education space. Returning to the status quo experienced in the last decade is not an option and the future will demand that colleges and universities across the United States significantly expand their missions with a commitment to continually innovate and improve processes, outcomes and the student experience. The Synergis Education team’s deep knowledge of the industry and their ability to form trusted partnerships with colleges and universities is a key driver to maintaining this sharp focus. Prior to starting Synergis Education, Norm served as Chief Operating Officer at Orbis Education, a leader in nursing education, and as Senior Vice President of Strategic Development at the Institute for Professional Development (IPD), a subsidiary of Apollo Group, where he served for nine years. 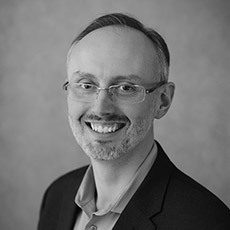 In his career, Norm has worked and consulted with numerous state and private colleges and universities around the country, becoming well known for cultivating a strong commitment to maximizing retention, student outcomes and advancing new techniques in educational delivery, as well as his powerful track record of turnaround management and leadership development. Norm earned a Bachelor’s Degree in Management and a Master of Business Administration with an international focus from Cornerstone University.